Israeli drones in exchange for moving the Brazilian Embassy from Tel Aviv to occupied Jerusalem. That is the gist of Brazil’s anticipated political realignment into the Israeli camp, now that Jair Bolsonaro, the far-right divisive politician, is the president of Brazil. The Bolsonaro administration’s pro-Israel strategy is a massive departure from Brazil’s sensible foreign policy under the leadership of Luiz Inacio Lula da Silva and Dilma Rousseff of the Workers’ Party. 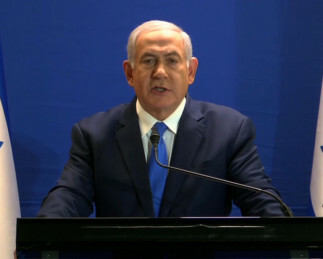 Israeli Prime Minister Benjamin Netanyahu’s recent visit to Brazil to attend Bolsonaro’s inauguration, was a triumphant one. The relentless efforts of the various pro-Israel constituencies among right-wing parties, the military and the mass-scale brainwashing of Evangelical Churches that are active in Brazil have finally paid off. Bolsonaro and Netanyahu are now like ‘brothers’ — the term used by Bolsonaro to describe his relationship with Netanyahu. But that brotherhood entails more than simple affinity. Much dirty politics is about to follow. Not only is Bolsonaro intended to move his embassy to occupied Jerusalem, in defiance of international law, but he is also considering closing down the Palestinian mission in Brasilia as well. It appears that Bolsonaro is following a specific blueprint that was also carried out by the administration of United States President Donald Trump. He too wants to ‘make Brazil great again’. In fact, much of the western world is turning towards far-right demagogues for answers and, sadly, Brazil is joining this disturbing trend. Israel is unabashedly exploiting the growing rise of neo-fascism and populism in Europe, the US and elsewhere. The once perceived anti-Semitic trends are now wholly embraced by the ‘Jewish State’. Far-right politicians understand that in order for Israel to help them whitewash their past and present sins, they would have to submit completely to Israel’s agenda in the Middle East. And that is precisely what is taking place from Washington to Rome to Budapest to Vienna, and now, Brasilia. Moreover, Israel has much to offer by way of ‘security’ technology — a massive product line that has been used with lethal consequences against Palestinians. The border control industry is thriving, both in the US and in Europe. In both cases, Israel is serving the task of the successful role model and the technology supplier. Israeli technology is increasingly invading European borders, with the consent, if not total enthusiasm, of rising far-right governments. If this trend continues Europe will soon find itself applying total Israeli border control mechanisms — as inhumane and often brutal as they are — to the desperate migrants and refugees often escaping western-instigated wars, and seeking better lives on the continent. Israel’s discrimination against the indigenous Palestinian population largely based on race and religion is known internationally. In recent years, a flow of African migrants attempting to seek asylum in Israel through the Sinai border has highlighted yet a new component to Israeli racism, one that is based on colour. Disturbingly enough, this racist discourse is increasingly finding its match among the European far right. The European Border and Coast Guard Agency has been at the forefront of employing military technology for civilian purposes, despite the obvious implications of such a policy on the erosion of civil liberties and fundamental human rights. Unfortunately, the European debate on this issue has been settled in favour of the ‘security’ enthusiasts. The deployment of military drones is now a matter of course, as the national security discourse has prevailed as a top priority in people’s minds, thanks to fear-mongering and divisive politics. No other country is as versed in manipulating the term ‘security’ as Israel, which is now exploiting the security-obsessed global mindset in order to expand its military market outreach. According to the Israeli Ynetnews, Israel is the seventh-largest arms exporter in the world and is emerging as a leader in the global export of aerial drones. Israel is keen on increasing its share of the flourishing global ‘border control’ business, which is thriving beyond all expectations. Netanyahu’s recent visit to Brazil is part of that expansion, accompanied by the same anti-immigrant and refugees discourse spewed regularly by Brazil’s new rulers. While this new Israel-led political environment will bode badly for all nations involved, including Brazil, the situation suits Israel only too well — not only because it is consistent with its anti-migrant, anti-refugees’ agenda, but also because it is a splendid opportunity to expand the market of its ‘combat-proven’ weapons. Ramzy Baroud, Journalist & Author — Ph.D, University of Exeter, UK. Non-Resident Scholar at Orfalea Center for International Studies.